A concise, readable reference to Inkscape guide operations. I also note you can set the guide coordinates exactly in the Guidelines dialog, accessed by double-clicking the guide (see item #5). 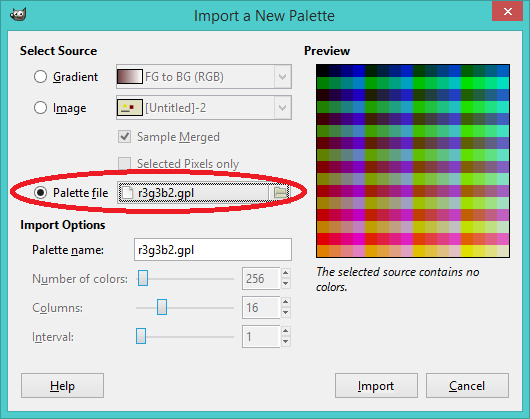 An R3G3B2 palette for GIMP, and how to use it. Part of this answer to a Stack Overflow question by s.gang. 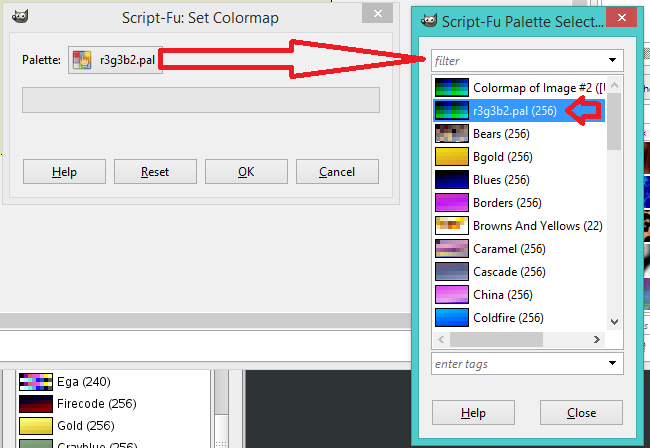 Here’s a GIMP palette file for R3G3B2 pixel packing of RGB images into one byte per pixel. Copy the below block into a file called “r3g3b2.gpl” somewhere convenient on your disk. Open your image as Indexed. Hit Close, then OK, and you should have color! Note: R3G3B2 is a very low-color-resolution format, so the image will probably look terrible. This is the Python script I used to generate r3g3b2.gpl. # makepal.py: Copyright (c) 2016 cxw. CC-BY. I’m just starting to experiment with OpenSceneGraph and this is the best tutorial I’ve found so far: http://www.stackedboxes.org/~lmb/en/computer-stuff/asittbpo-open-scene-graph/index .